Now, this is very important to know as these packages gets update without any notice and avoiding upgrades could impact the system. 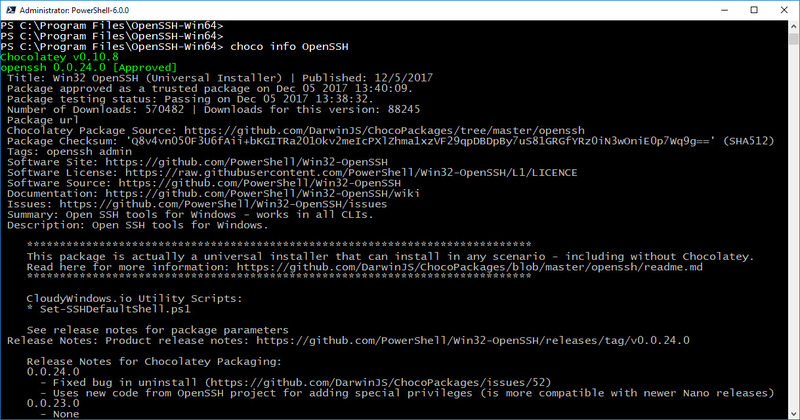 As of the writing of this post, the latest version of Win32 OpenSSH is v0.0.24.0. Keep in mind, all these steps need to be executed with administrator privileges. The upgrade process should be enough to get the package to the latest build. Now, I notice my latest upgrade step, I found files that shouldn’t be in the folder. So, take the time to verify and confirm everything is installed as expected. Don’t forget to document and/or save any file, such as: sshd_config. In the other hand, it doesn’t hurt to uninstall everything, check there are no files left in the folder, and that event the folder was removed. In other words, a clean installation will be perfect. 3. Before, doing the uninstall step, make sure there are no process using OpenSSH that may have open file(s). In this case, just rerun the uninstall step. The goal is to have everything removed including folders. 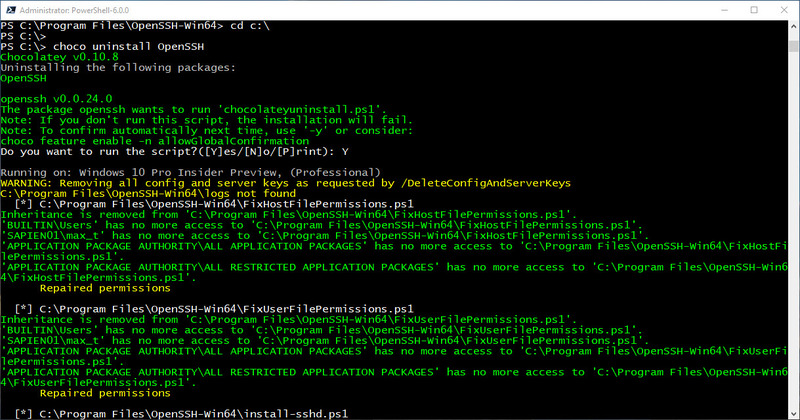 Now, you’re ready to do a clean installation of Win32 OpenSSH. 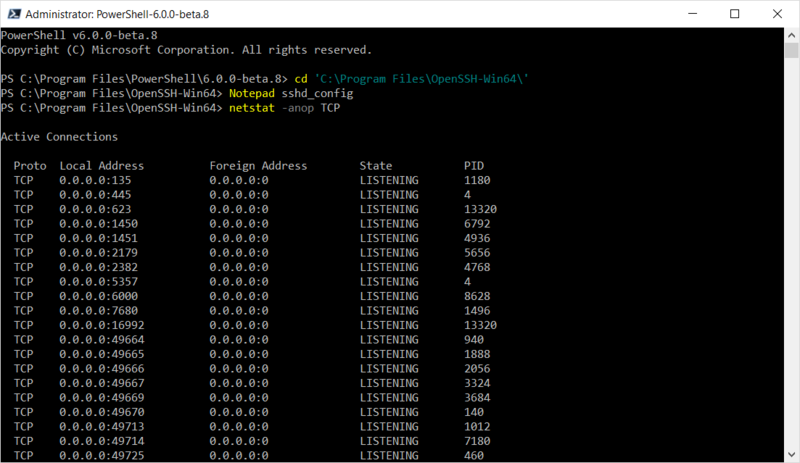 It’s been over a year since my last post on “PowerShell Open Source – Windows PSRemoting to Linux with OpenSSH”. A lot has change, so here’s the updated version. In Linux (Ubuntu), open a terminal (Bash) session. *Note: The system will let you know if they already exist. Proceed to save the file. 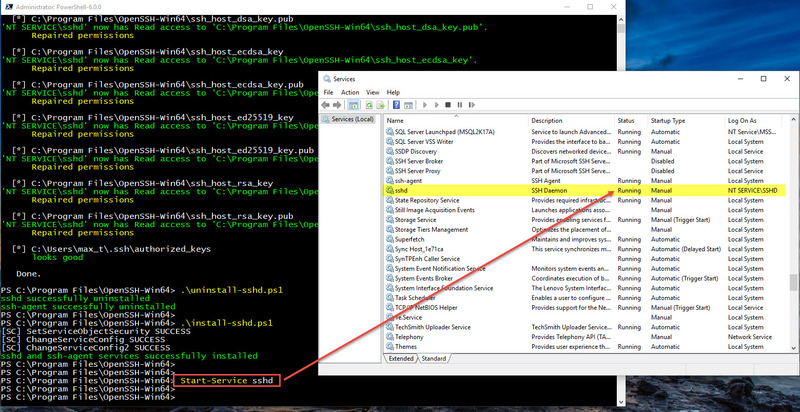 In *Windows Client or Server, open Services to ‘Stop‘/’Disable‘ both SSH Broker and SSH Proxy. 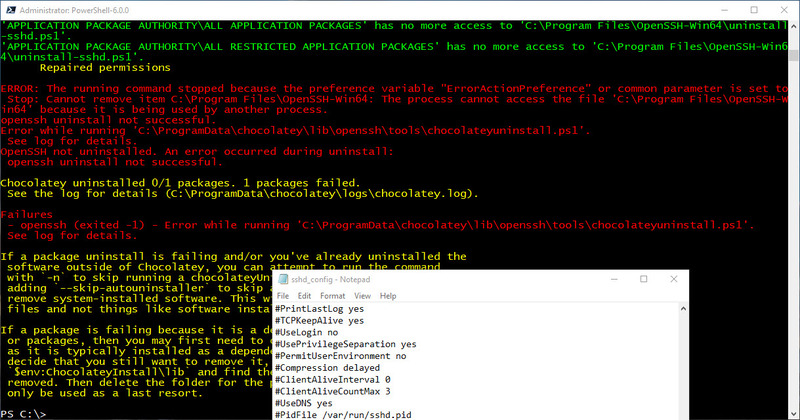 *note: Chocolatey Install instructions will run ‘Set-ExecutionPolity Bypass’. The problem is, it won’t change it back to the previous setting. Make sure to run “Get-ExecutionPolicy” to verify current settings. Save the file and we are ready to configure the firewall rule for port 22. Open Firewall app and verify it’s added. Then, set both sshd and ssh-agent services set to start automatically. At this point, only start service sshd which will turned on the ssh-agent service. Must important, open the *Services MMC console and verify that all running. *Note: On the server will be needed to set the credential as Local System (see below). Start-Service : Failed to start service ‘sshd (sshd)’. 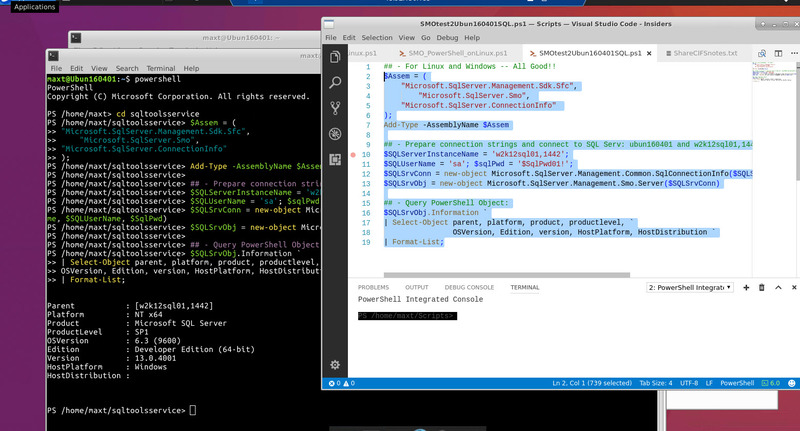 I’ve been recently posting about getting SQL Server Management Objects (SMO) Framework to work in PowerShell Core in both Windows and Linux Systems. So, here’s the revised blog post as the method has kept improving. 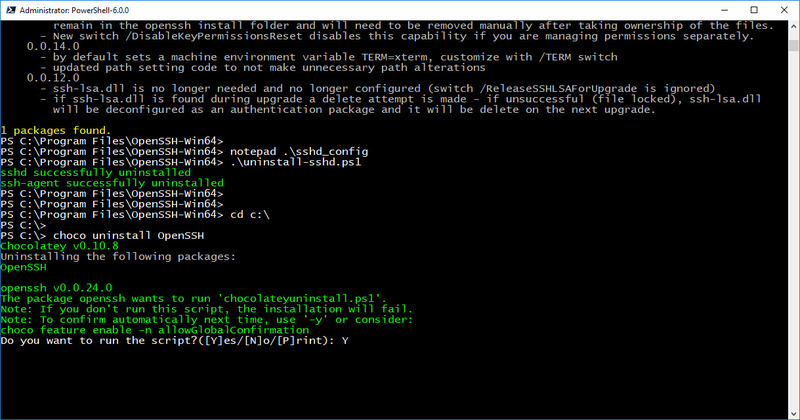 This way you can start creating some cross-platform SMO PowerShell Core scripts in your environments. 1. Windows connecting to Windows SQL Server. 2. 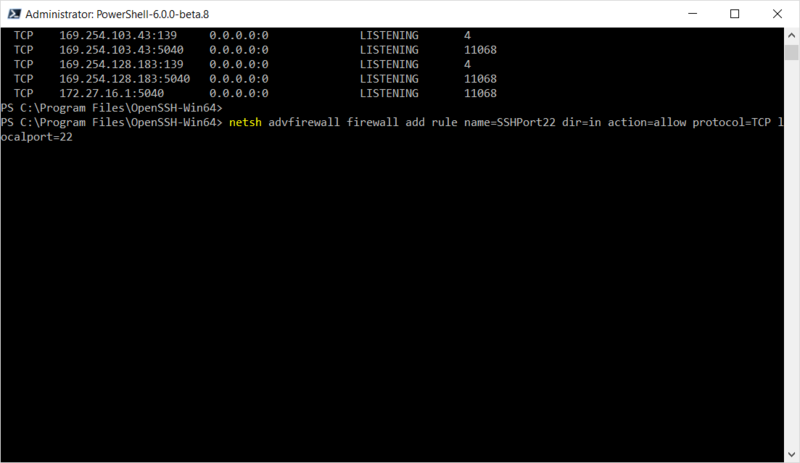 Windows connecting to Linux SQL Server. 3. Linux connecting to Linux SQL Server. 4. 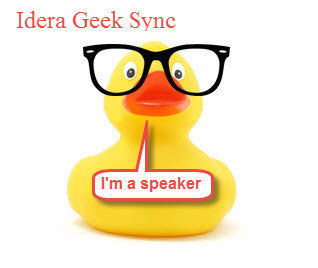 *Linux connecting to Windows SQL Server. 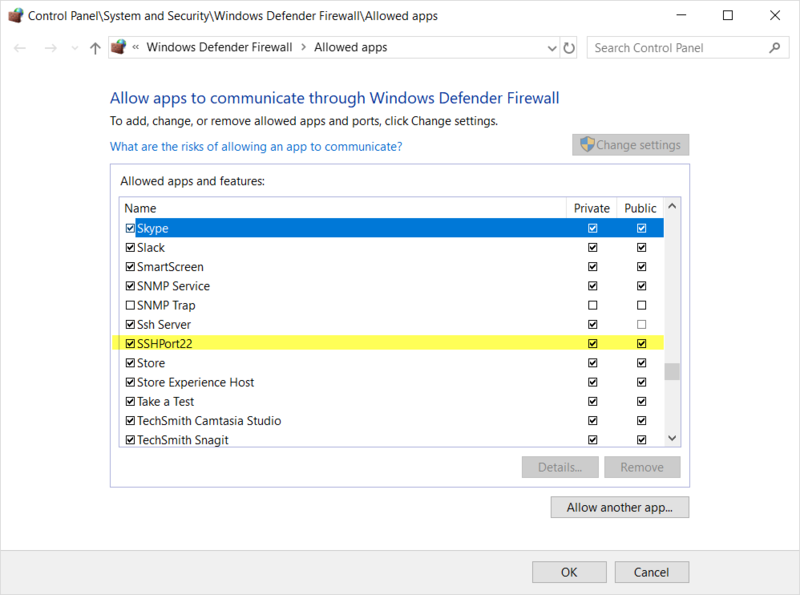 *Note: Any issues with firewall connecting from Linux to Windows, can be solved by creating the inbound rule for Linux in Windows Firewall. How to get the SMO for PowerShell Core? It’s easy! You can get it from NuGet Gallery using PowerShell Core Console. Just make sure you open PowerShell Core as an Administrator to avoid any installation issues. You could use the following one-liners to find and install the recent SMO package. The following “if-else” code snippet can execute in either Windows or Linux PowerShell Core console. After we verified NuGet Package Management is already installed in our system, then we can proceed in Find/Install “SQL Server Management Objects (SMO) Framework“. The current version is “140.17199.0”. As of today (November 6th, 2017), the current version of Microsoft.SqlServer.SqlManagementObjects is 140.17199.0. And, it can be installed on either Windows and Linux systems from NuGet. 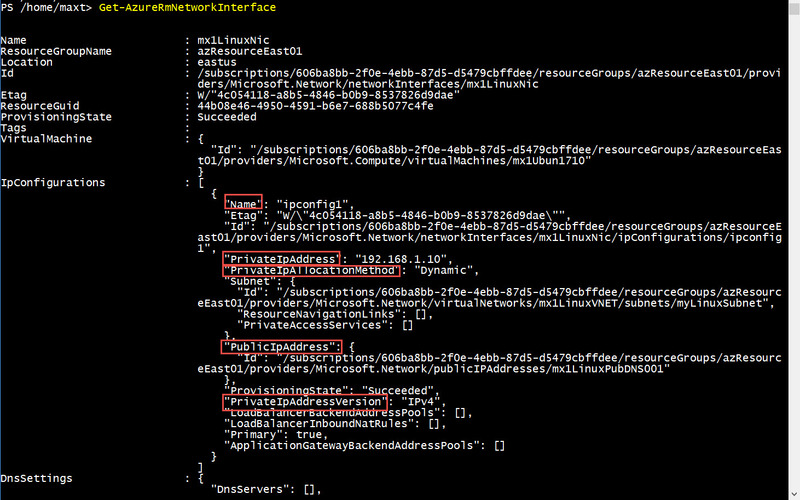 In order to use SMO in PowerShell, we need to know where they are installed. The next one-liner gets the NuGet location to build the path of the SMO installed assemblies. 1. In Linux, either using the “SqlServername” or, “IP-Address“. 2. In Windows, either using the “SqlServerName“, or “IP-Address“, or in the case of mutliple instance “SqlServerName,Port“. My number one choice is to use NuGet Package Management. Although, you can play around with the GitHub SqlToolsService version as it gets frequent updates. The trick in using the GitHub version, is to add the path to where the Dll’s are stored and you’re good to go. Just Dare to Experiment! Keep learning PowerShell! Special Thanks to Microsoft: Matteo Taveggia and David Shiflet for providing me with Nuget PowerShell code piece. I just change it a little! 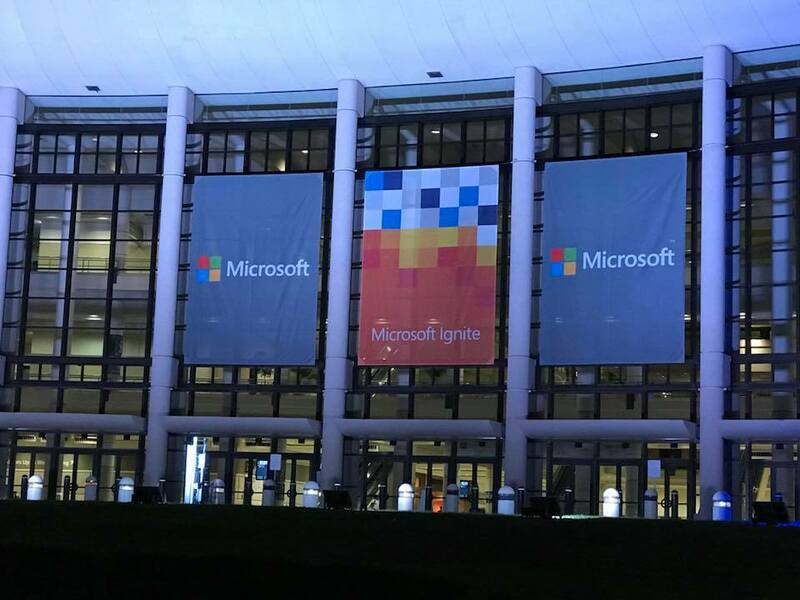 As I started a new role working for SAPIEN Technologies as their Technology Evangelist in September, I had the opportunity to be working with them a the Microsoft Ignite Conference in Orlando. 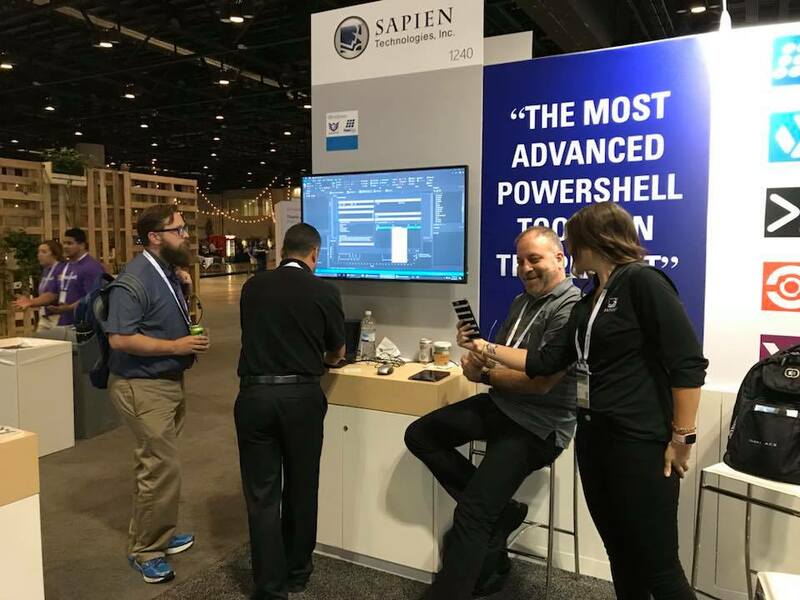 Greatly appreciate this opportunity and the chance the meet everyone interested in PowerShell as well as our SAPIEN PowerShell Tools at the event. Feel free to reach out, keep asking about our product, product services, and must important, give us feedback on how to make it better. Yes! Just recently I downloaded the latest SQL Server SMO assemblies that can be use with PowerShell Core in both Linux and Windows. You can find them in Github under Microsoft SqlToolsService. But, you’ll need to extract only the necessary DLL’s before you can start creating your PowerShell Core SMO scripts. There’s no installation program, as this is installed manually. There’s one requirement I would suggest to do. Download and install .NET Core 2.0. I’m currently using is V1.1.0-alpha.31. a. Open the zip file. c. Extract all selected dll’s into your *PowerShell Core Beta folder “C:\Program Files\PowerShell\6.0.0-beta.x”. 2. 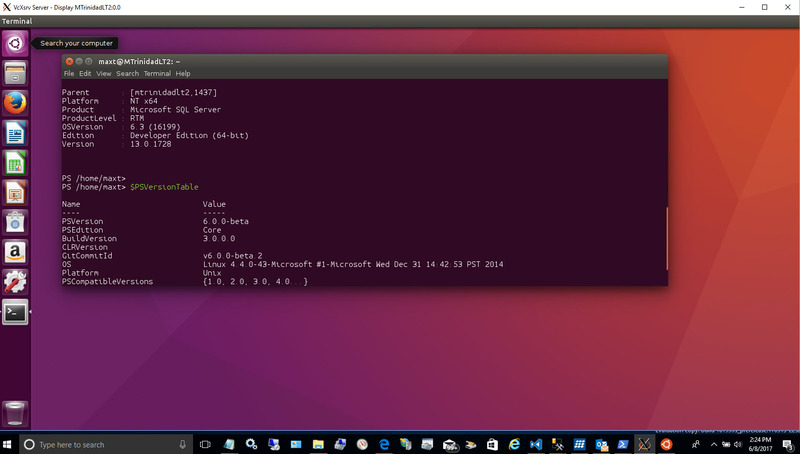 In Ubuntu Linux, download the tar file “Microsoft.SqlTools.ServiceLayer-ubuntu16-x64-netcoreapp2.0.tar.gz“. a. 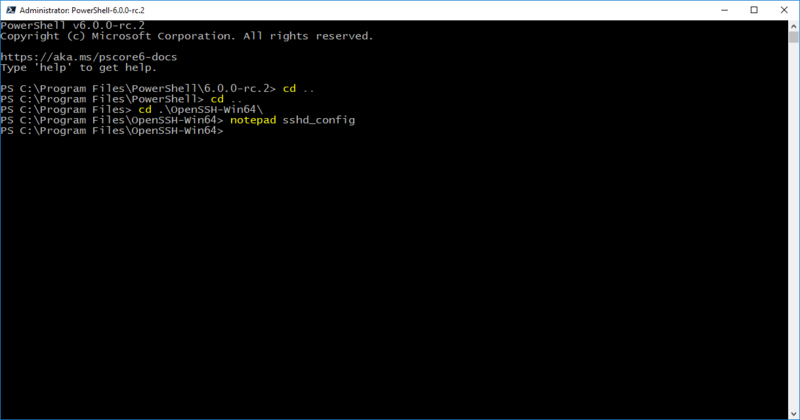 To open the file, use either Desktop Nautilus, or use the command-line tar command. b. In your home folder, create a folder for the dll’s you’re going to extract (for example: mkdir sqltoolsservice). d. Extract the files into the folder you created. Definitely, using the GUI tar or zip application seems better as you can use the Ctrl key to individually highlight the files to extract. *Note: Keep in mind, when you add these dll’s into the PowerShell Core folder, uninstalling PowerShell beta won’t removed them. You must manually delete them and the folder. When executing the code both Windows and Linux, make sure you are in the folder you installed the dll’s files or it won’t execute. In Window, in PowerShell Core console stays in folder: “C:\Program Files\PowerShell\6.0.0-beta.x”. In Ubuntu Linux, in PowerShell Core console, change directory to “SqlToolsService”. 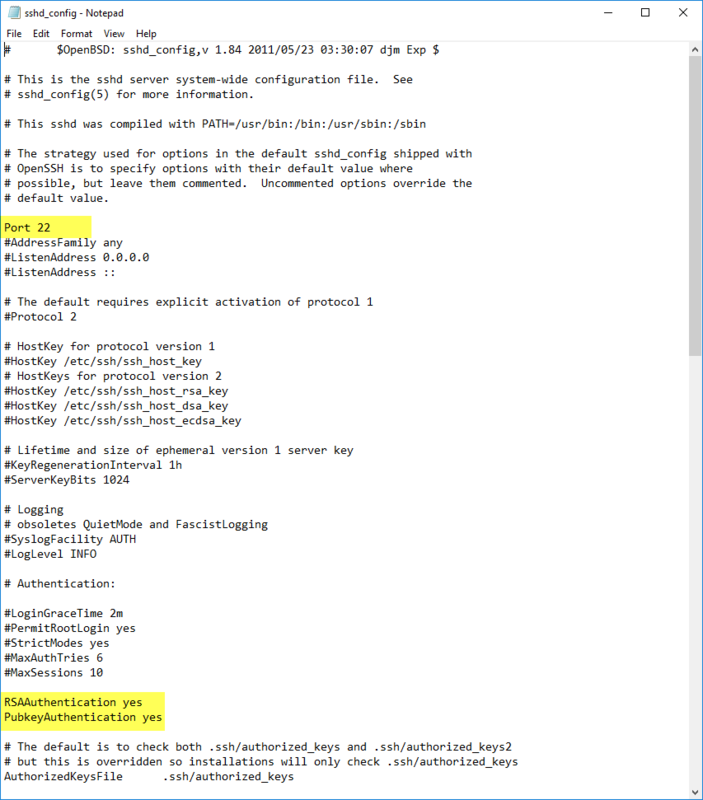 The above script will verify your manual installation of the SMO dll’s in PowerShell Core was successful. 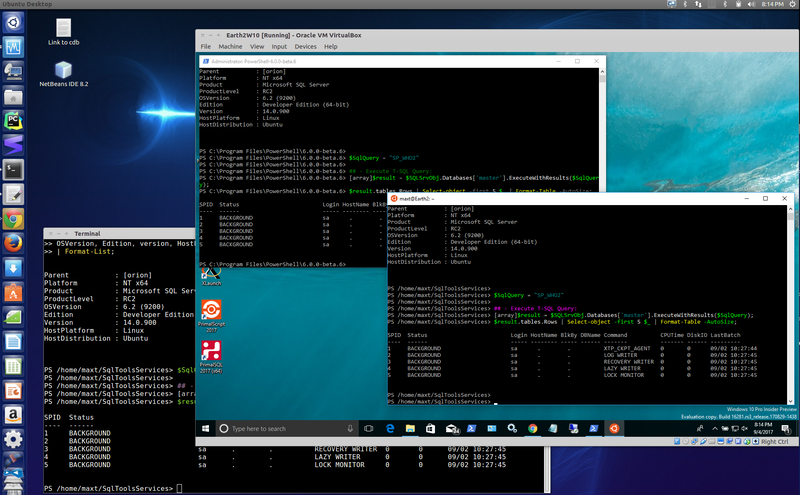 Now, you can use SMO in PowerShell Core in both Linux and Windows. And, most important, the previous issue I describe in my previous blog post “PowerShell Core – Getting SQL Server using ADO.NET Data provider” about the DataRow object has been cleared. So, there’s no need for adding code to fix the object to display data columns and values correctly. Please, go ahead the give it a try! It’s great that now we can use PowerShell Core in Linux to create .NET object we can use and take advantage of this technology. Yes, its finally happening! Thanks to Leslie Haviland (Director of Student Services), Dewan Persaud (Program Chair Information Technology), and staff to help me setting this meeting at their Port St. Lucie location. Everyone is welcome to attend no matter what’s your skill level. I’m hoping that this will be first of many upcoming meetings as this technology is finally On-Demand in the industry. Keep in mind, PowerShell is also available Open Source running on Linux and Mac OS’s. Most important! Is never too late to start learning about PowerShell. 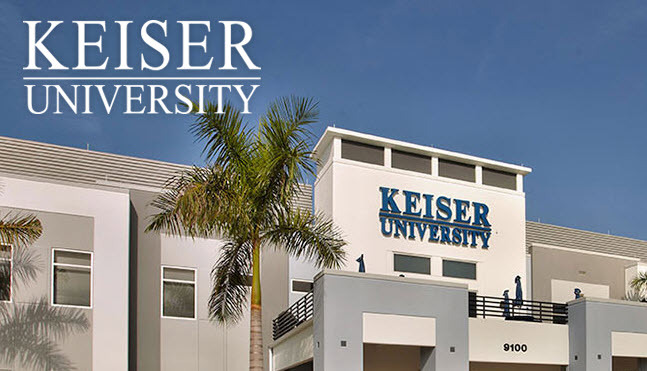 I’m working on getting a meeting with Keiser University to allow me to host my Florida PowerShell User Group Monthly meetings at their Port St. Lucie Campus location. But, in the meantime, I setup July’s Online meeting for Wednesday 26th at 6:30pm (EST). 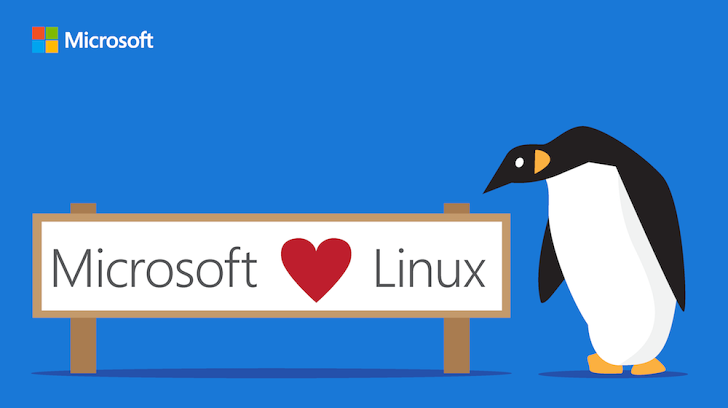 You’re welcome to explore the latest build of SQL Server for Linux, including everything you need to install and connect to SQL Server. He will also look into the tools that are available to use from Linux and / or Windows. 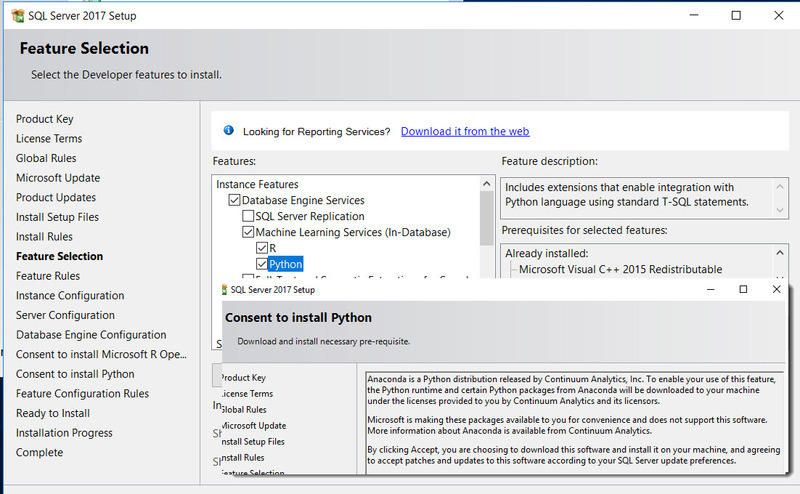 Maximo will provide samples on querying for database information using Python/Java and PowerShell between two environments. This will be a demo intensive session you will not want to miss! I hope you can joined me in this exciting session! Yes! It’s possible. Here’s the information in how to set it up and start doing some PowerShell scripting. But, first understand that everything posted here is still a Work-In-Progress. And, the good news, it’s all Open Source. I hope you find the following information essential as there’s no really any instruction in how to install these components. So, let’s get started! The Microsoft SQL Tools Service is a set of API that provided SQL Server Data Management capabilities on all system cross-platforms. It provide a small set for SMO dll’s enough to get started. Keep in mind, this list will continue to grow and we hopefully expect more SMO DLL’s added. You need to get the file from the latest release. At the time I writing this blog, it’s Pre-release “v1.0.0-alpha.34 – .Net Core 2.0 build“. To make *”Sql Tools Services” to work in PowerShell Core, I had to extract all content in the file into the “C:\Program Files\PowerShell\6.0.0-Beta.x” folder. Remember, this will replace any existing DLL’s on that folder. *Caution: This steps should be done on a test machine as there’s always a possibility that it could PowerShell Core DLL’s. Don’t forget that all these components are still in development but this should stopped us from trying and even contributing. Please, for now ignore the *microsoft.sqltools.credentials*. If you install the Credentials DLL’s in the PowerShell Beta folder, PowerShell will not work. Now, for Linux is a different story as there’s no need to add the DLL’s in the PowerShell Core folder. You need to get the file from the latest release. At the time I writing this blog, it’s Pre-release “v1.0.0-alpha.34 – .Net Core 2.0 build“. That’s it for Linux. 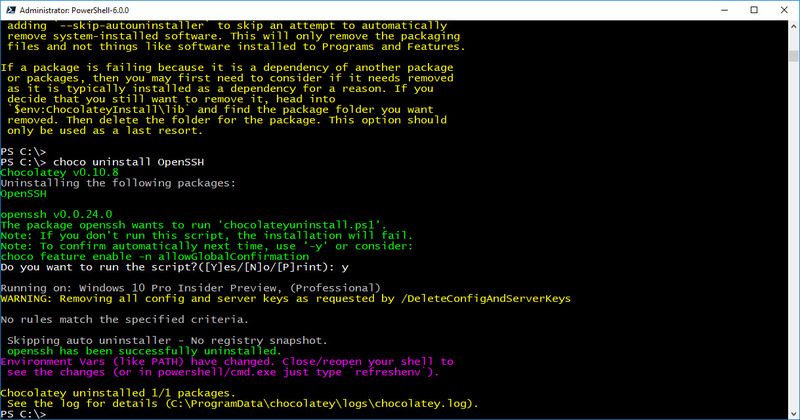 Now, you are ready to work with SMO and PowerShell. 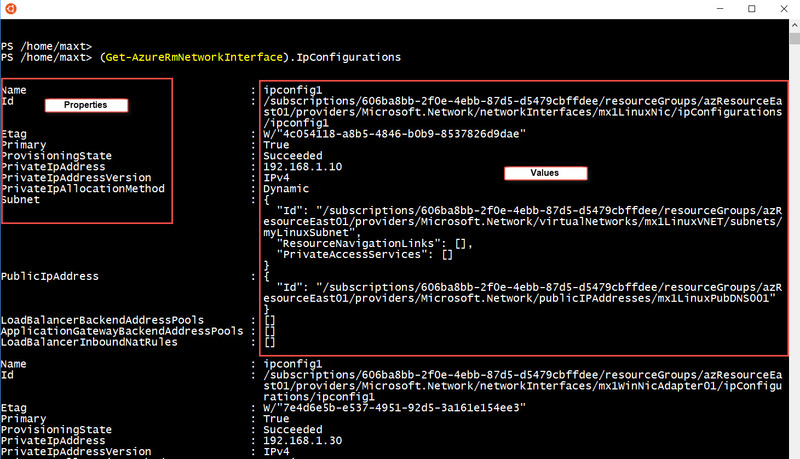 This is changing my way I script SMO in PowerShell. As my normal way I’ve been scripting SMO in PowerShell doesn’t work in PowerShell Core. Basically, a few more lines need to be added and now I will use the Add-Type to get the SMO assemblies loaded. The old method I’ve been using for a long time will failed because is expecting the “Property Login …” to be set. The above assemblies are required in order to work since SQL Server SMO 2012 and greater. 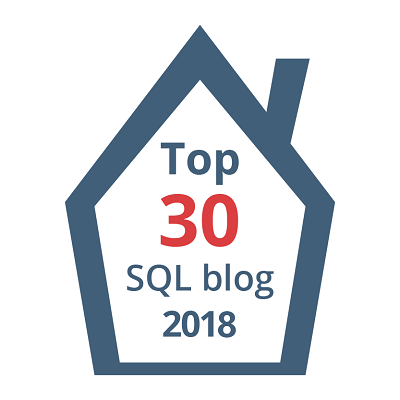 You can have limited use when connecting to SQL Servers version 2005, and possibly 2000. In Windows systems, we use ‘Integrated Authentication‘. But, here’s where things change a bit since SQL Server 2012 SMO. You will need to prepare the connection parameters, and set the *.UseIntegratedSecurity property to ‘true‘ (the default is ‘false‘). At the same time, you’ll need to set the password to ‘null’ in order to connect successfull. 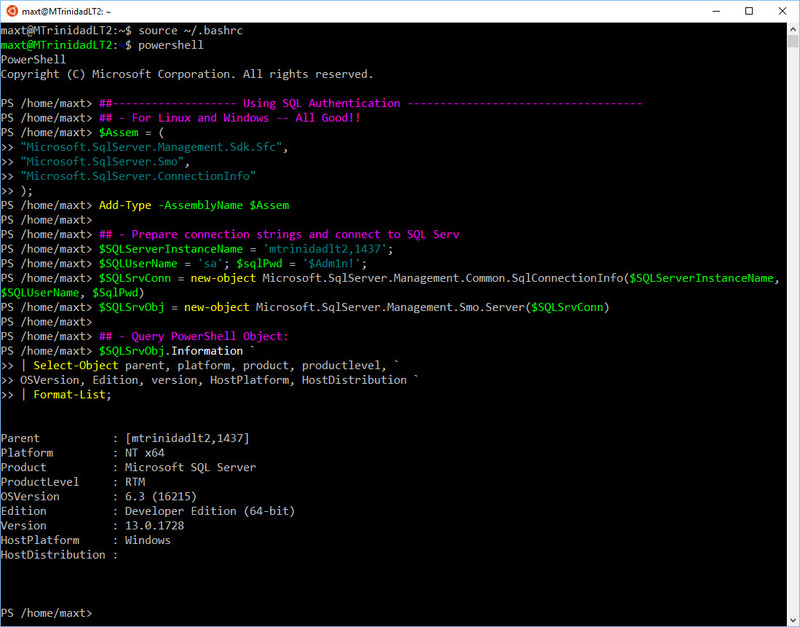 Now, you can query the PowerShell Object $SQLSrvObj. For Linux systems, we use ‘SQL Authentication’. Here we add the SQL User password, then passing the value to the SqlConnectionInfo class. And, the *.UseIntegratedSecurity property by the default is ‘false‘. 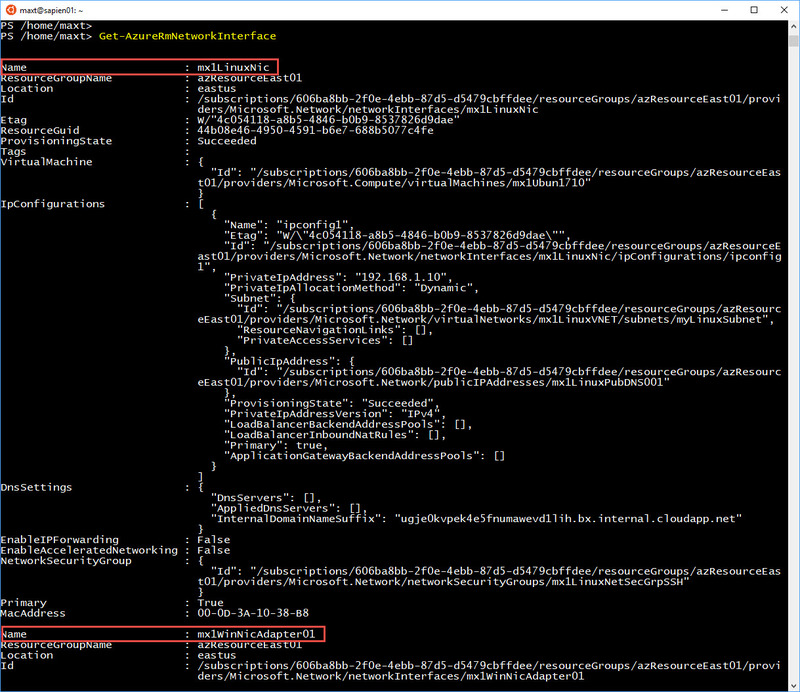 Again, you can proceed to query the PowerShell Object $SQLSrvObj. 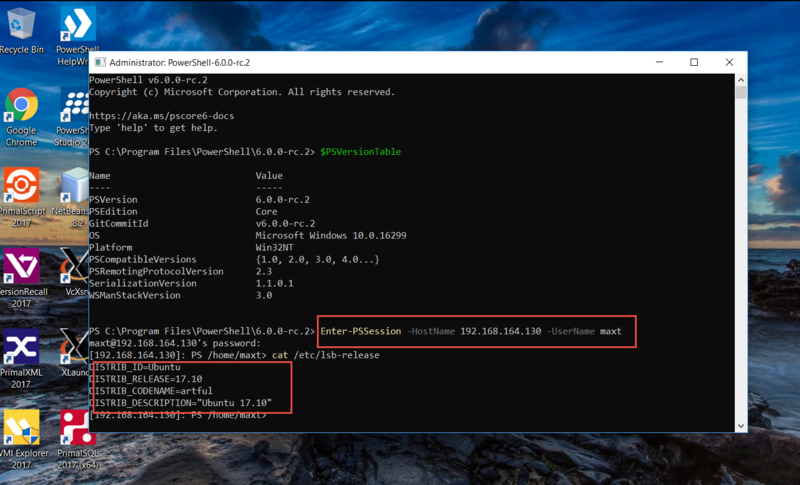 Please notice in the above image, the Windows 10 Insider Build 16215 Bash Console is running PowerShell Core. This list insider release made it possible for PowerShell Core to be functional again. 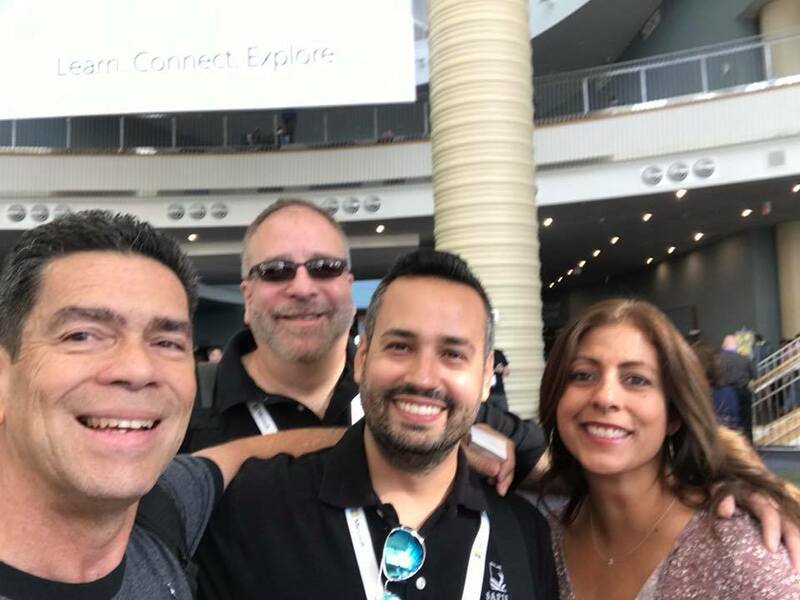 As we can see, this opens new opportunities to build cross-platform PowerShell scripts solutions working with SQL Servers in Linux, Windows, and others. This is very exciting to start experiencing first hand these upcoming changes. I can’t deny that’s it’s challenging but you can’t turn down an opportunity to gain more skills. Please, take advantage and subscribe to Microsoft Azure. Build, test, and start deploying solutions. Don’t be afraid to be creative. We all learn thru trial and errors! This is a good time to keep up with what’s going on with technology.